The growing issues of freshwater scarcity in many parts of the world are encouraging more water recycling projects from San Diego to Singapore. Here are 15 facts about water recycling from around the world. Israel recycles 80 percent of its sewage, using much of it for irrigation. It is estimated that reuse of all the wastewater we discharge to the oceans and estuaries would increase the water available to U.S. municipalities by about 6 percent. 1 billion gallons per day of treated wastewater is reclaimed to meet non-potable water needs (in the U.S.). Florida is a national leader in water reuse. 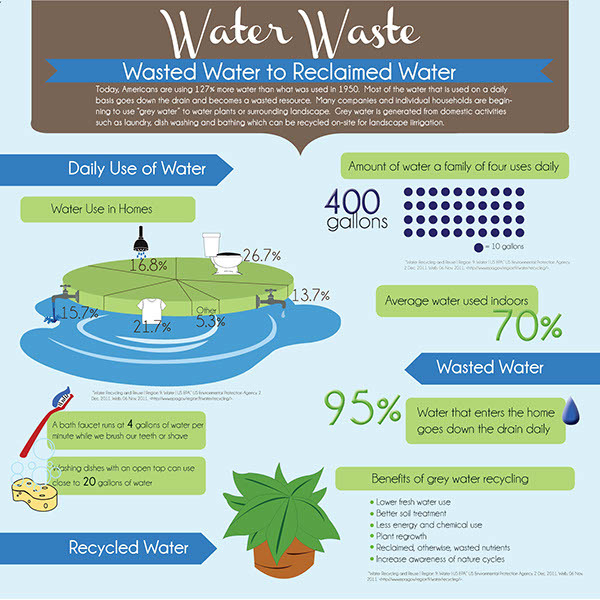 Approximately 719 million gallons per day of reclaimed water was reused for beneficial purposes in 2013. 95% of water that enters the home goes down the drain daily. Singapore’s wastewater recycling plant uses advanced membrane techniques to produce water that is clean enough to be used for the electronics industry and be bottled as drinking water. 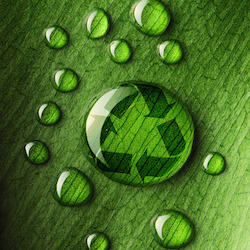 Recycled water costs about $1,100 an acre-foot to produce, about half the cost of desalinating ocean water.